A tourist visit or vacation to Vilamoura in Algarve, Portugal, is not complete without getting a taste of the food it has to offer. As your eyes devour the scenic spots of the town or as you fill your craving for a fun-filled beach adventure, relaxing golf round or historic exploration, you will also be able to gratify your stomach with a whole host of spectacular restaurants in Vilamoura. Food is a very important component of every travel. Knowing where to eat and what cuisines to try when you travel to another place is not just a practical thing to do, but also a factor to make your vacation more memorable and worthwhile. Eating in Vilamoura does not only mean packing some energy for your next outdoor activities; rather, eating in Vilamoura is an adventure in itself. During your food exploration in this fantastic town of Portugal, you should be prepared to be tempted by an extensive selection of cuisines, including authentic Portuguese dishes and sumptuous international meals. 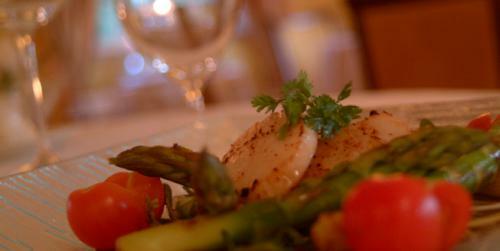 Travellers who visit Portugal for the first time prefer to try original Portuguese cuisines. Guests who stay at the Marina in Vilamoura feast in a variety of restaurants that offer Portuguese classics, such as duck rice, steaks and seafood gourmet. 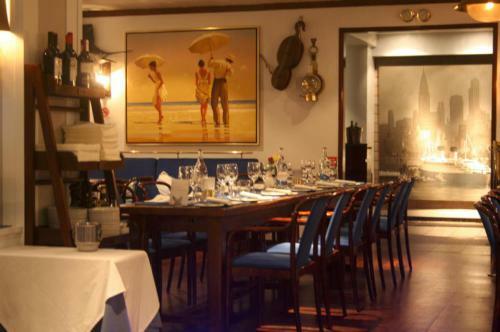 There are also some restaurants in Vilamoura, such as the Akvavit Restaurant, that specialize in international foods. Others make available both authentic Portuguese and international cuisines, and Portuguese dishes with international flavour. 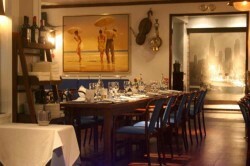 Restaurants in Vilamoura are also teeming with warmth and hospitality. Every restaurant has its own gimmicks that make guests want to try it for a second, third or nth time. 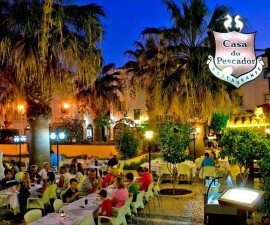 A lot, if not all, restaurants in Vilamoura have very good hosts, usually in the persona of the owners. Customer service is one of a kind, because restaurant staff knows how to make their guests feel very warm and special. 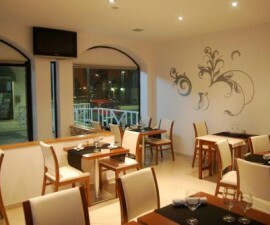 The ambience is also fantastic because Vilamoura restaurants have really nice interior design and well-executed themes. Many restaurants offer a breathtaking view of Vilamoura’s scenic spots, as well as provide a very cosy and intimate atmosphere perfect for romantic dates, family dinners or simple group meals. Among the restaurants that you should check out when you visit Vilamoura are Pepper’s Steakhouse, Casa do Pescador, Ancora, Don Alfonso, Willie’s and O Colonial Restaurant. Find out more about these restaurants and other gastronomic hubs in Vilamoura to help you decide where to eat during your vacation or holiday trip.